Around Dhaulagiri trekking is one of the challenging adventure trekking in Nepal.Dhaulagiri base camp trekking follows glaciers and crosses high snow capped passes, a challenge appropriate only to fit individual or group travelers /Trekkers wishing to go to remote challenging trekking in Nepal Himalaya. Dhaulagiri 8167m, the sixth-tallest mountain in the world, towers high above the well-trekked Muktinath pilgrim trail up the Kali Gandaki Valley. 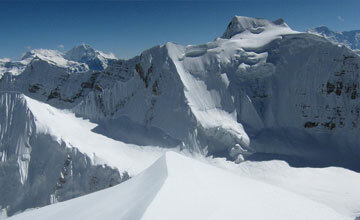 Dhaulagiri trekking take to you heart of the Annapurna region. 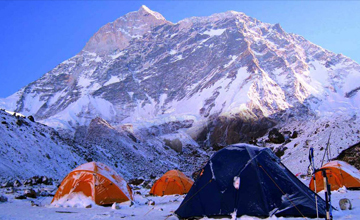 Dhaulagiri base camp trek offer beautiful Himalayan views of Mount Dhaulagiri 8167m, Mt. Manaslu 8163m, Mt.Annapurna 8091m with other 23 snowy peaks , lush valley , the hidden valley , the pilgrimage Jomsom muktinath trail , lush valley with beautiful landscape. 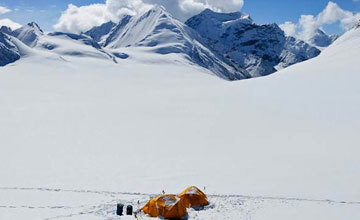 Dhaulagiri pass trekking can do only camping / tented trip. Dhaulagiri circuit trekking include two passes French pass 5360m & Dhampus pass 5234m & good physical fitness is required for this trekking. Trekking in Dhaulagiri base camp is amazing life time experience with vast massif screens the hidden lands of Dolpo to its north, and to the west of it are Nepal's far western hills. Mt. 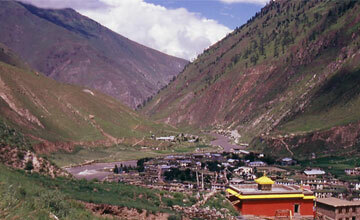 Dhualagiri base camp trekking is virtue trekking for those who love nature, mountain views & challenging pass. Dhaulagiri base camp trekking trekking begins at Beni after 3-4 hours from pokhara. Himalaya Journey Trekking professional trekking guide led through the beautiful village of Darbang, Muri, Chariban, Itialian base camp, Dhaulagiri base camp , french pass, Dhumpus pass and finally reach at Marpha assemble of Annapurna circuit trekking trail. 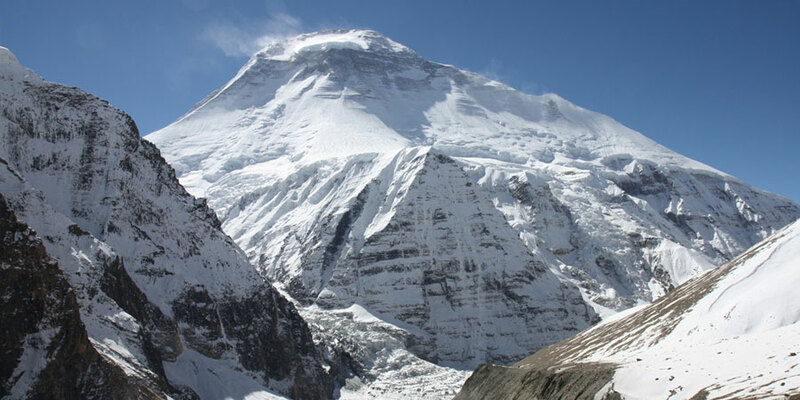 Dhaulagiri base camp trekking is relatively strenuous and requires high altitude trekking experience in Nepal Himalaya.March , April , September, October & November are best month for Dhaulagiri circuit trek. Dhaulagiri base camp trekking tour required three weeks holidays but we Himalaya Journey trekking arrange as per trekkers wish and holiday schedule. Dhaulagiri base camp trekking avoids the main trail and therefore is quite strenuous and demanding trekking in Nepal Himalaya. 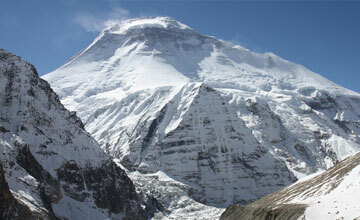 The massive peak of Dhaulagiri (8167m) is very attractive. Since Dhaulagiri trekking trail has been explored Himalaya Journey trekking professional offers according to clients desire and trekking itinerary will generate with appropriate their holidays in Nepal.Trekking in Dhaulagiri base camp is life time adventure trekking in Nepal Himalayas! Day 01: Arrival in kathmandu 1334m, transfer to hotel , Around Dhaulagiri trekking briefing with officially arrangements. overnight at kathmandu hotel. 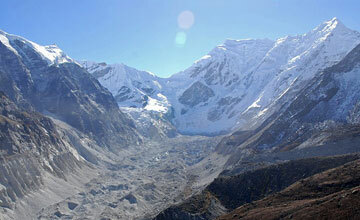 Day 02: Kathmandu valley sightseeing and prepare for Dhaulagiri base camp trekking. Day 22: pokhara by bus or flight back to Kathmandu (1350m) drive approximately 5-6 hours , by flight 35 minutes, we Himalaya Journey Trekking arrange either overland transportation by tourist bus, by private vehicle or by flight as per trekkers choice. Day 23: After breakfast, Himalaya Journey tour guide will take to for historical monuments sightseeing in kathmandu valley such as Boudhhanath : visit Bodhnath Stupa, one of the best Buddhist shrines in the world, where we observe Buddhist monks in prayer in the monasteries surrounding the stupa than visit Pashupatinath Temple : the most famous Hindu temple in the country, located on the banks of the holy Bagmati River. Here you see Hindu holy men (sadhus) meditating, pilgrims bathing and occasionally funeral pyres burning on the ghats. Kathmandu durbar square: you will enjoy with different Hindus Temple , Goddes Kumari, legend of kathmadu valley etc and in the evening farewell dinner in Nepalese Restaurant, overnight at kathmandu in Hotel. Day 24: After breakfast, Relaxing/shopping with own activities , Himalaya Journey Treks & Expedition's representative will drop to Kathmandu international airport for onward journeys or if you have time to stay in Nepal will arrange any other trip such as Chitwan Junlge safari tour, Lumbini tour, Chitwan jungle safari tour , river rafting etc. Three time meal Lunch, Dinner and Breakfast during the trekking. Trekkers Information Managements system ( TIMS Card). 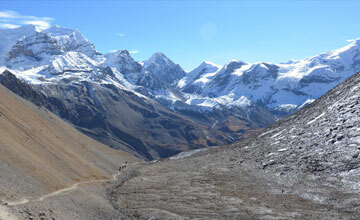 Highest access of the trek: 5360 meters on French/Thapa Pass. Mode of trekking tour: Camping trek only.